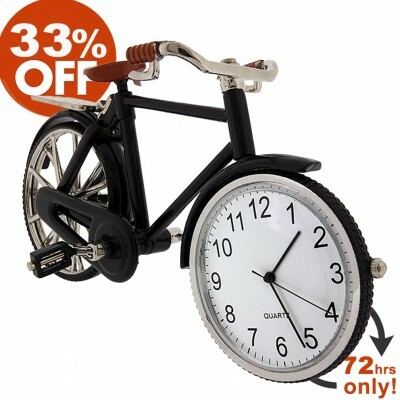 An excellent miniature collectible in the shape of a vintage black bicycle with rack and brown seat. 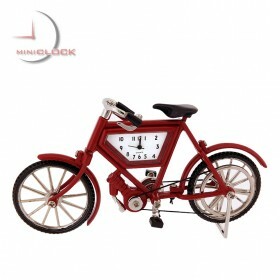 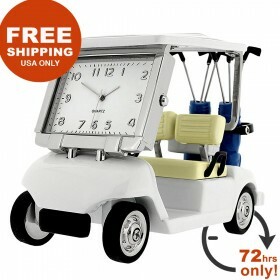 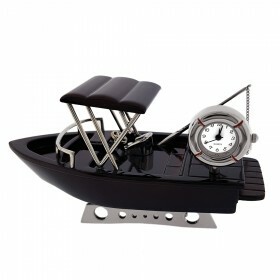 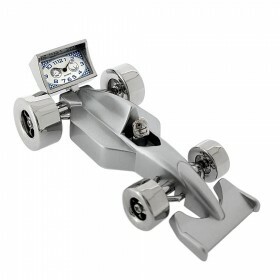 Cast in sturdy metal featuring moving pedals, back tire that can turn, stationary kick stand and a large easy to read clock displayed in front wheel. 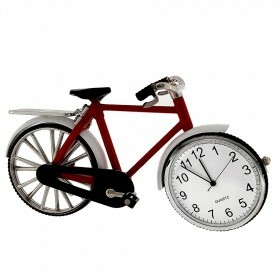 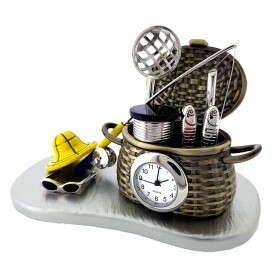 A must have for the any mini collector and/or bicycle enthusiast.